Roasted Lime and Garlic Shrimp Cocktail – A flavorful spin on the classic! A flavorful twist on classic shrimp cocktail! Loaded with zesty lime and garlic - this is sure to fly off the table. Preheat the oven to 400 degrees (F). 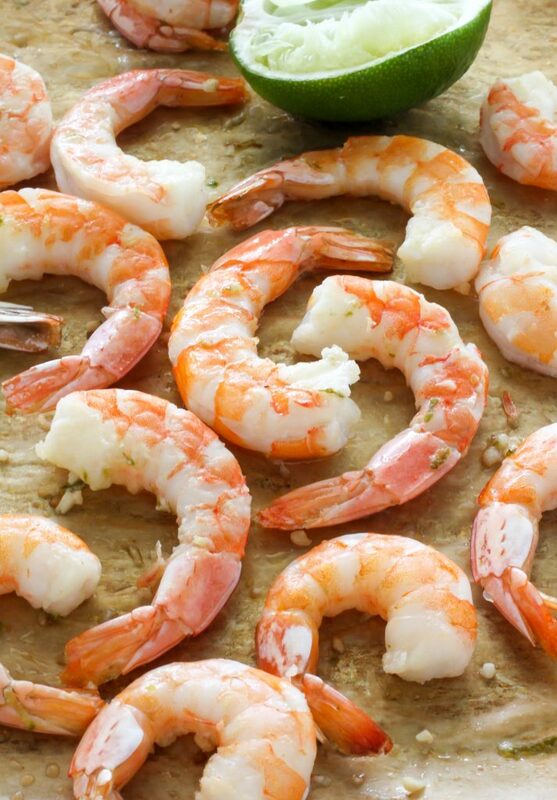 Place the shrimp in an even layer on a large baking sheet; set aside. In a small bowl combine the lime zest, lime juice, oil oil, salt, pepper, and garlic; stir well to combine. Pour the mixture over the shrimp and toss the shrimp around a little to help coat them evenly. 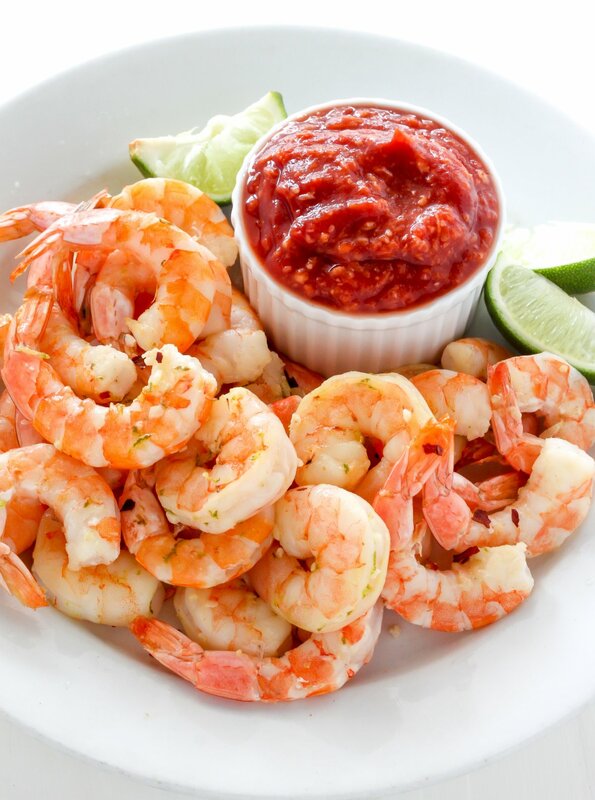 Be sure to arrange the shrimp in an even layer without any of them overlapping when finished. Roast the shrimp for 8-9 minutes, or until they're pink and opaque all the way through. Transfer shrimp to a clean dish and let them cool. Place in the fridge until needed. In a small bowl combine all of the ingredients, mixing well to evenly combine. Chill until needed. This recipe can easily be double as needed. This recipe may be made up to 12 hours in advance and kept in the fridge until served. I love regular shrimp cocktail and I KNOW I’d flip for this zesty lime and garlic version! These shrimp look so flavorful!!! LOVE how quick and easy this is girrrl, perfect for weeknights!